Cricket in the late 90s and the better part of the first decade of this century was dominated by Australia - they were the number 1 test team, they won the World Cup thrice in 1999, 2003, and 2007, yet the Champions Trophy eluded them. They did not even make the final of the Champions Trophy in the first 4 editions held in 1998, 2000, 2002, and 2004. Interestingly enough, Australia won the next two editions in 2006 and 2009 and are the only team to win the Champions Trophy twice. They enter this edition in an effort to make it three on the trot. Besides MS Dhoni, none of the other captains from the Champions Trophy in 2009 are captaining their teams this year. Besides Sangakkara and Vettori, the other captains (Ponting, Smith, Strauss, Younis, Reifer) from 2009 are not even in the squads. Misbah Ul Haq, Alistrair Cook, Angelo Matthews, and Brendon McCullum are captaining their teams for the first time in an ICC tournament. Misbah Ul Haq has never played an official ODI in England. 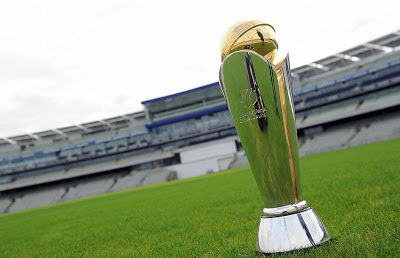 The Champions Trophy is the only ICC event, which has witnessed Pakistan win against India. In fact they have played twice in the Champions Trophy with Pakistan winning both times. While in ICC World Cup and World T20 events, Pakistan has never beaten India. This is the only ICC tournament that South Africa have won. They won the inaugural Champions Trophy in 1998. That remains their only ICC silverware in multi-nation ODI / T20 events. Besides Chris Gayle, none of the leading run scorers nor the leading wicket takers in all Champions Trophies till date are taking part in the 2013 edition of the tournament. This is the last ever Champions Trophy. The ICC has decided to scrap the tournament and replace it with the ICC Test Championship in 2017.